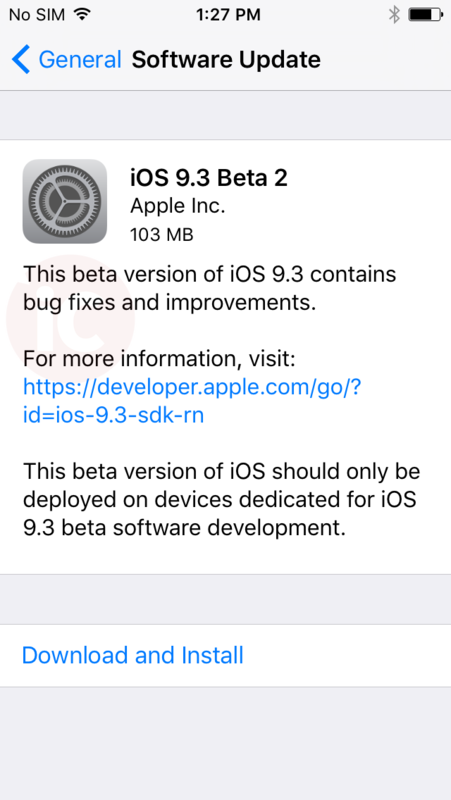 Apple has released iOS 9.3 beta 2 for developers this afternoon, available as an over-the-air update or a standalone download within the Apple Developer Center. iOS 9.3 beta was released exactly two weeks ago, and introduced new features such as a new Night Shift Mode, detailed usage of Wi-Fi Assist data and more. You can checkout a round up of new features to expect here. Earlier today, Apple released tvOS 9.1.1 for Apple TV 4 users, introducing the Podcasts app.